Huawei the Chinese Company wants to play with the big boys and wants to be taken seriously as a competitor to Apple and Samsung, but currently it's rooted firmly among the second tier of Android manufacturers, competing with the likes of LG, Sony, and Motorola in the western markets. 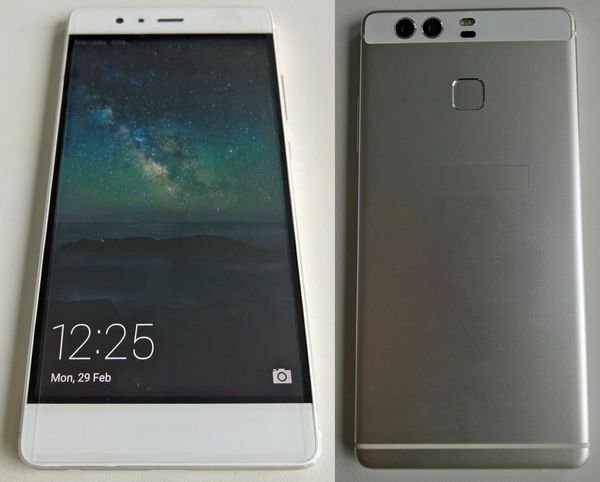 Here is a fleeting look at the Huawei P9, the latest addition to the Huawei family. The Huawei P9 has dimensions of 145 x 71 x 7mm while the Iphone 6S is 138 x 67 x 7.1mm. 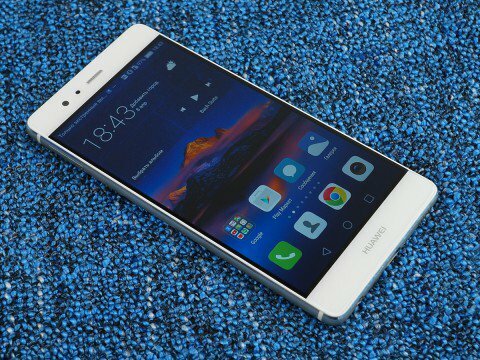 Huawei manages to include a 5.2-inch screen while the Iphone 6S only has a 4.7-inch display. The P9 is a little taller than the Iphone. The bezels along the top and bottom of the display are still slim, but allow Huawei to pack a lot of tech inside without compromising the look of the handset. The back of the handset is made with an aluminum unibody and the metal does feel premium. The overall look of the phone is great though, with rounded corners and edges, with the latter making the P9 look even slimmer than its 6.95mm. On the right hand edge of the phone is the volume rocker with the power button just below it. Colour choices for the Huawei P9 are aplenty with three types of gold available as well as silver and grey. Huawei is hoping to sell the P9 on the camera abilities of the phone, but though it's got a great snapper, this handset isn't all about the camera capabilities. The display is a real highlight of the Huawei P9. It's large considering the compact size of the phone as a whole. It features a 5.2 inch 1080p screen with Full HD support and also offers up 423 pixels-per-inch. It's also worth noting that Leica and Huawei have managed to make the back of the camera sit flush with the rest of the phone. The two sensor set up makes this one of the best camera phones you can buy right now. The P9 comes with USB Type-C support both for charging and data transfer. There's also the fingerprint scanner at the back of the phone where the index finger rests. The company refers to the fingerprint scanner as "Level 4". 3/4GB of RAM and 32GB with microSD card support of up to 128GB. The P9 is good for high-end gaming and multi-tasking. The processor in the Huawei P9 is impressive. It features a HiSilicon Kirin 955 processor, and this is the first in a mobile device. It is as good as the best phone in the world right now for a cheaper device. The P9 is running the latest Android 6 Marshmallow software. Emotion UI 4.1 is a bit better than the Huawei interfaces of the past. This means the only way of organizing your home screen is by placing your apps into folders. There is also a lot of bloat ware on the P9 like other versions of the phone. Huawei has upped the battery cell from the 2600mAh version in the P8 to a 3000mAh cell in the Huawei P9. The price is certainly a highlight of the Huawei P9. It comes in at £449.99 (about US$690, AU$900, GHS1999), which is roughly what a Huawei P8 cost when it launched in May last year. The P9 is another accomplished Smartphone from Huawei, with an innovative camera set up and plenty of power under the hood. But it’s not perfect, and there are still issues with the heavy Emotion UI.